Where did this Batman obsession start? One day my husband decides to read a Batman comic the next day we are trying to figure out Robin timelines, he is trying to convince me that I must read about the Court of Owls, and Batman stickers are covering his laptop. Then the shirts show up. The Husband gets one. Then Squirt, who needs to be exactly like her daddy, has to have one. Well, if she has one Bubba needs one because Squirt is his idol. That leaves me the odd woman out. 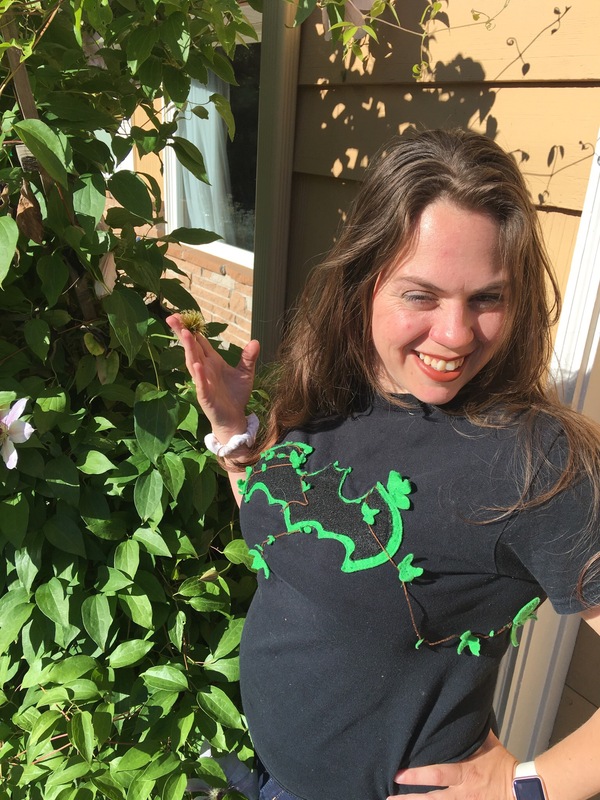 It was decided that I needed a shirt, but it isn;t so much Batman that draws me into Gotham. It is the support characters who populate the city that interest me. Besides it is the Poision Ivy’s, Harley Quinn’s, and Jason Todd’s that add the spice to Batman’s life. I started by printing our a Batman logo. 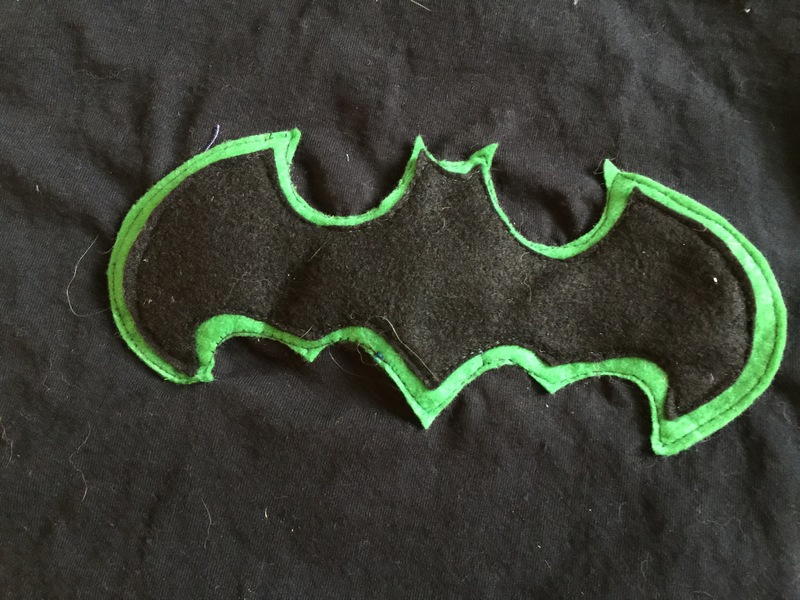 When it was the size I wanted I used it as the stencil to cut out a green bat. 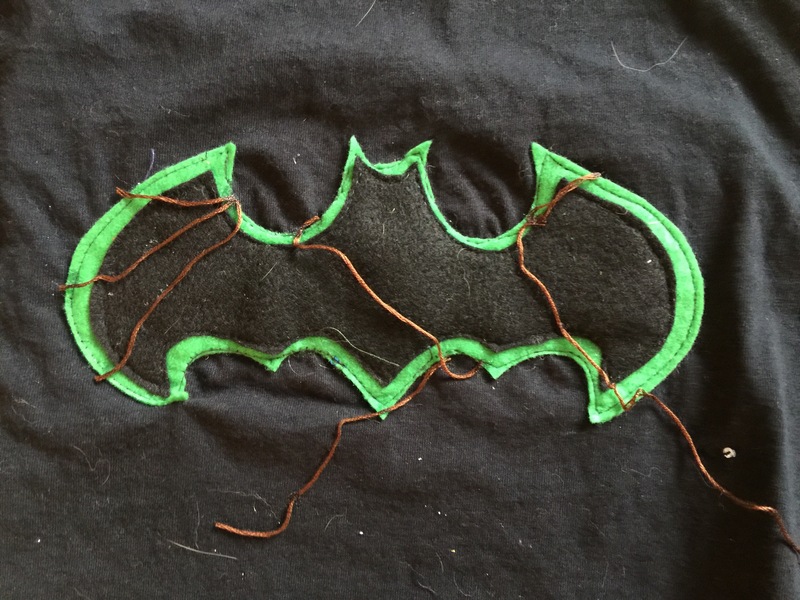 Using the same logo I trimmed about 1 centimeter off the edge and used that as the template for the black bat. Now it is just centering the logo on the shirt and sewing them in place. The finishing touch is the leaves. 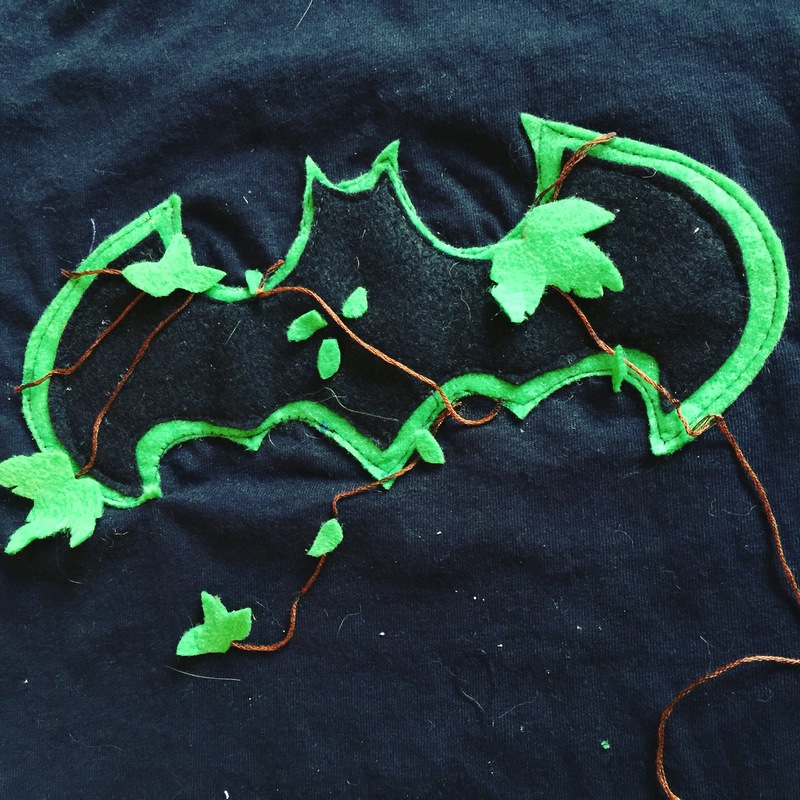 I cut out several sided ivy leaves and sewed them in place on the bottom of the leaf leaving the top loose. To fill in the reset of the vine I used smaller leaves that are tacked on. So what do you think? I am thinking of doing a series of shirts like this by mixing logo. Maybe a red Harley Quinn bat next?